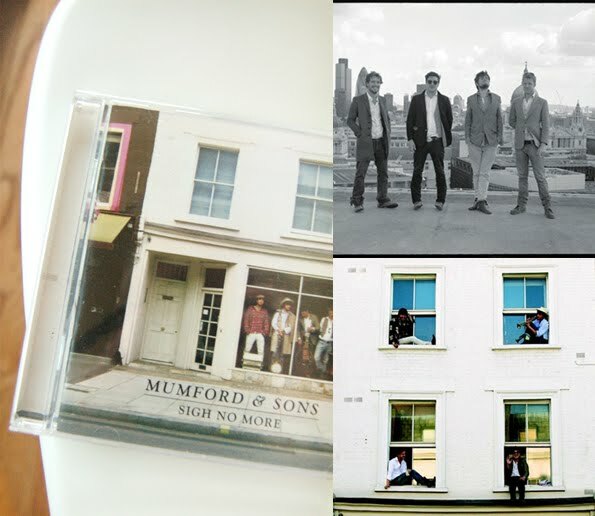 Folk rock band Mumford & Sons // album Sigh No More. Q and I have been listening to their album on repeat lately, it's that kind of really good, soulful music that can both relax and move & motivate you. if you like them you'll love avett brothers. They were in Toronto a couple weeks back and one of my gfriends absolutely loves them!! Unfortunately we were unable to go.